Order The FruitGuys farm-fresh fruit and healthy, clean-ingredient snacks every week. Our GoodWorks mission is to give back from seed to need. 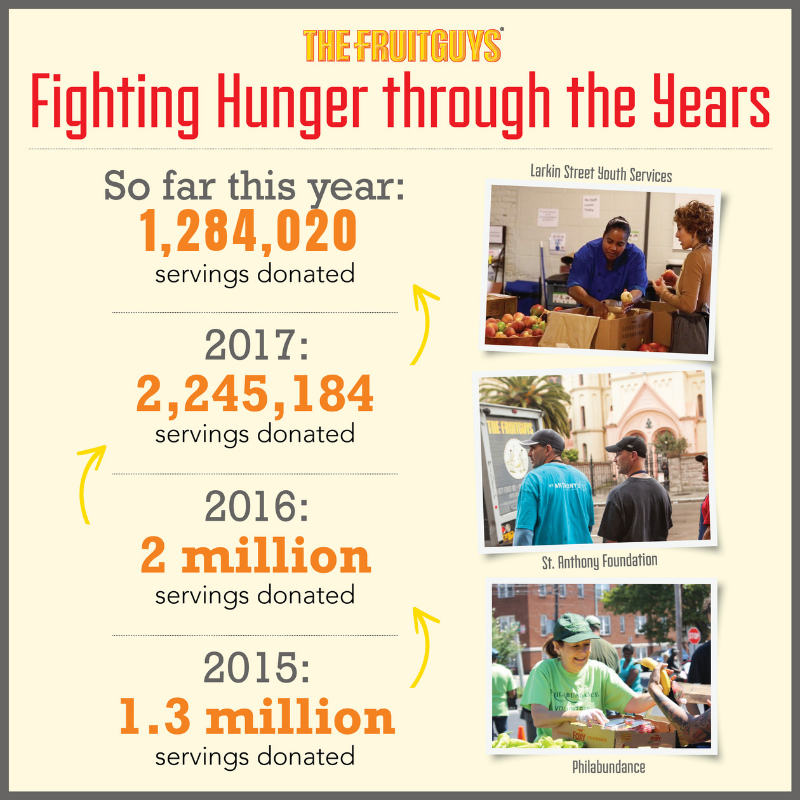 Our program has two components: The FruitGuys Community Fund, which supports the small sustainable farms that grow our food; and The FruitGuys donation program, which aims to reduce food waste and ensure that excess fruit reaches the hungry and those in need.